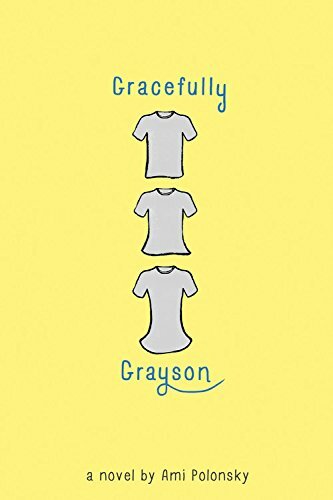 Gracefully, Grayson is a remarkable debut: a middle-grade novel focused on Grayson's quest to reconcile her exterior - a boy's - with her interior - a girl's. But it’s in no way a tub-thumping ‘issue’ book, foregrounding agenda at the expense of story; and it’s hugely refreshing to see a book about a transgender child aimed at readers of 9-12, rather than teens. This delicate, sweet, assured tearjerker is one of my favourite books of last year. Grayson's parents were killed in a car crash when she was three, and she now lives with her aunt, uncle and cousins. Her older cousin Jack is particularly intolerant of Grayson’s need to wear bright colours and wear her hair as long as she can contrive. But she exists, in an uneasy, sad equilibrium, twirling secretly in her bedroom mirror - until Mr Finnegan, also known as Finn, begins casting the class play, and Grayson auditions for the part of Persephone. An apparent boy trying out for a female part brings Grayson's well-known but previously unthreatening ‘weirdness’ front and centre. When she is given the part, a storm of opinion rises, overturning certainties to left and right, and leaving emotional wreckage – and a clean-washed freshness – in its wake. Polonsky's writing is understatedly powerful; colour is important, reflecting its crucial nature in Grayson's life, and what it means, in terms of displayed allegiance, in the worlds of school, home, and society. Throughout the book, she leads her reader gently towards an understanding of the courage required to confront an inconvenient, misunderstood, but crucial, essential truth - by Grayson, her family, and the school and the community she belongs to. This book should be read, cried over, and absorbed by everyone fortunate enough to pick up a copy.